Martyn is a Partner in the Sydney office of Norton Rose Fulbright. He heads the telecoms and media group in the Asia-Pacific. His practice covers transactional, contentious and advisory with a focus on telecoms, media & technology (TMT). During 2018, Martyn was named as a ‘top 10’ TMT legal advisor in Asia. In 2016, 2017 & 2018, Martyn was awarded Australian Law Firm Partner of the Year in the TMT category. Martyn has won many deal awards and was a finalist for ‘Australian Deal Maker of the Year’ in 2015 & 2016. During 2018, Martyn acted for Vodafone in the $16 billion merger of Vodafone with TPG Telecom. Gillian Clyde is an experienced film, television, broadcast, media and entertainment lawyer and senior manager, with extensive experience in copyright, contract, media and communications law. Gillian is currently Legal and Business Affairs Executive with Beyond International and was previously Corporate Counsel at Screenrights, the collection society which licenses broadcast television for educational use and retransmission. Gillian has also held senior management and legal positions at the UK Film Council and The Walt Disney Company in London. Debra Richards has over 25 years communications & media industry experience. Debra was appointed CEO of Ausfilm in January 2011 and previous to that was the CEO of the Australian Subscription Television and Radio Association (ASTRA), the industry association for subscription television. She also spent over 13 years with the broadcasting regulator being the Australian Broadcasting Tribunal and the Australian Broadcasting Authority. Katherine is a Senior Associate at MinterEllison specialising in intellectual property law, entertainment and media law and advising on the full spectrum of pre-publication content issues spaning copyright law and policy, commercial IP transactions, privacy, defamation, contempt and media content issues, disputes and risk management. 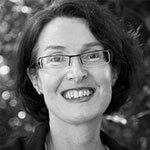 Katherine also previously worked in-house as a Senior Lawyer for the Australian Broadcasting Corporation (ABC). 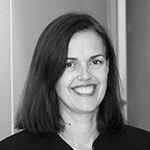 Rebecca is a Special Counsel in Gilbert + Tobin’s Intellectual Property group and is an experienced intellectual property litigator who has worked on some of the leading copyright cases in Australia. In addition to copyright, her focus is on trade mark litigation and Part V trade practices litigation. She has worked on a variety of enforcement matters for both national and international clients including the film and music industries. Rebecca has a Bachelor of Law (First Class Honours) from the University of Sydney and a Bachelor of Arts (Communications Studies) from the University of Newcastle. Rebecca was admitted as a solicitor in 2005 and is a member of the Copyright Society of Australia and the Intellectual Property Society of Australia & NZ. Julie Cheeseman is Counsel at Ashurst, where she specialises in media, IT and IP disputes. Julie has 14 years of litigation and dispute resolution experience. Her matters have included litigation, major arbitration, expert determination, mediation and numerous negotiations for large corporate and government clients in the IT, communications and media sectors. 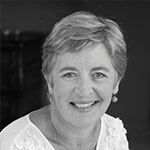 Julie regularly provides advice and dispute resolution assistance in relation to publication laws (such as defamation and contempt), privacy and surveillance, copyright, misleading and deceptive conduct, broadcasting laws and relevant codes of practice. Julie sat on CAMLA’s Young Lawyers Committee in 2018 and is proud to join the CAMLA Board in 2019. Sophie is a partner at Bird & Bird. She has 20 years’ experience in advising on communications and telecommunications law issues. She regularly advises on privacy and publication law issues, including defamation law, and on media laws more generally. She has also acted for media and technology clients in a wide variety of media and technology related disputes including the Gutnick internet choice of law case, the Samsung patent case and an ICC international telecommunications arbitration as well as confidentiality, defamation and privacy disputes and investigations. 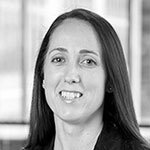 Jennifer Dean is a Special Counsel at Corrs Chambers Westgarth. She is a competition and regulatory lawyer with more than 10 years experience advising on matters relating to telecommunications, media and technology. During her career, Jennifer has worked in both government and private practice and specialises in sector-specific regulation, access to major infrastructure, competition and consumer law and media ownership. 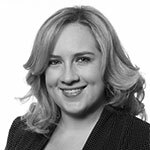 Ashleigh is a Senior Associate in MinterEllison’s Dispute Resolution team, specialising in intellectual property and privacy. Ashleigh commenced her legal career in private practice at Sydney law firm Addisons, where she quickly identified a love of media and intellectual property law. Her main focus is brand protection strategy and dealing with IP disputes including privacy, trade marks, copyright, misleading and deceptive conduct and passing off. 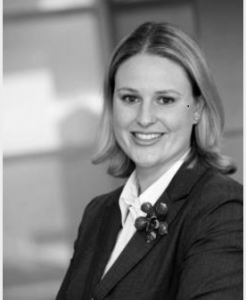 Ashleigh also advises on commercial and litigation matters. 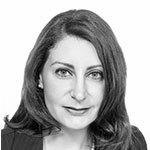 More recently, she has worked with financial services and insurance clients in responding to the Royal Commission into Misconduct in the Banking, Superannuation and Financial Services Industry. Ashleigh has also gained experience as in-house counsel for an international engineering company and a global pharmaceutical company. In 2017, she took part in a month long secondment to a law firm in Costa Rica. Ashleigh is passionate about pro bono work and is heavily involved in MinterEllison’s community investment initiatives. Outside of private practice, Ashleigh is the Vice Chair of the NSW Young Lawyers Communications, Entertainment and Technology Committee. In her spare time, Ashleigh likes to run long distances and is recently competed in the New York marathon. 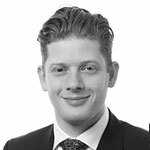 Eli Fisher is a Senior Associate in HWL Ebsworth’s IP/IT team. Eli is a commercial lawyer who specialises in intellectual property, competition and consumer, publishing, advertising and privacy laws. 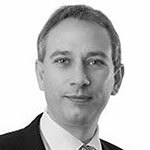 He has acted on a wide range of commercial and contentious matters, including for media and news organisations, music and entertainment companies, collecting societies, software developers, major FMCG retailers and eCommerce businesses. Eli is an editor of the Communications Law Bulletin, and also sits on the Management Committee of the Copyright Society of Australia. He has completed a masters degree at UNSW, dual-specialising in Media & Technology Law, and Innovation Law. 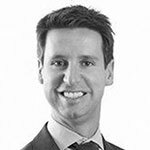 Ryan is a Senior Associate at Baker & McKenzie in the contentious side of the Media & Content Group in Sydney. Ryan’s focus is on the burgeoning effect of technology on the media industry in the context of disputes. Ryan has acted for national and international media and technology companies in relation to disputes in the areas of copyright, defamation, including online defamation, misleading or deceptive conduct and general commercial disputes for media or technology companies. Ryan also provides pre-publication advice for online and traditional media. Prior to being a lawyer, Ryan completed a bachelor of IT and worked as a software developer. Rebecca is Special Counsel in HWL Ebsworth’s Commercial Team. She acts across a broad range of TMT matters, including telco, media rights, sponsorship, talent, marketing, technology procurement and technology services agreements. She also advises on general commercial arrangements and the IP/IT aspects of corporate transactions. Before joining HWL Ebsworth, she worked at FOX SPORTS Australia. Rebecca obtained her law degree from Oxford University and trained at Slaughter and May in London, including on secondment to ITV. 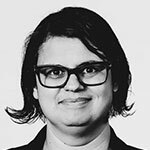 Marlia is the Senior Litigation Counsel at News Corp Australia, where she advises and acts for newspapers, news websites and magazines throughout Australia. Her role covers high profile defamation litigation, resolving editorial complaints, providing pre-publication advice and drafting commercial/IP agreements. 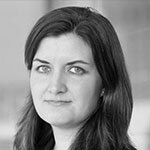 Prior to working at News, Marlia worked at Ashurst for almost 13 years in the media/intellectual property team. Over the years, Marlia has undertaken secondments at Foxtel, Telstra and the Australian Digital Health Agency. Raeshell is a Senior Associate at Bird & Bird specialising in defamation, media and commercial litigation. She advises and represents news organisations, media clients and high profile individuals in defamation, copyright, confidential information, privacy, contempt, suppression orders and social media. Raeshell also provides pre-publication legal advice to media clients and presents legal training seminars to journalists and editors. Pre-law, Raeshell enjoyed a successful 15 year career working in sales and then production for some of Australia’s largest television and radio broadcasters including the Nine Network, Seven Network, WIN Television and the ABC. 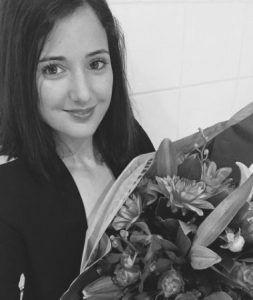 In 2014 she was nominated New South Wales Young Lawyer of the Year and in 2017 Raeshell was selected for appointment to the NSW Law Society’s newly established Privacy and Communications Committee. In 2015 Raeshell was elected as the first official Chair of CAMLA Young Lawyers, a position she held for two years before her appointment to the CAMLA Board. 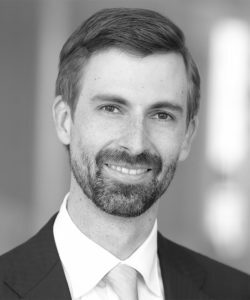 Tim Webb is a partner at Clayton Utz in the Intellectual Property & Technology group based in Sydney. He is an experienced commercial litigator, having conducted proceedings in the High Court, Federal Court, Federal Circuit Court, Supreme Courts of the ACT, NSW, Victoria and NT, Administrative Appeals Tribunal, and the Copyright Tribunal. Many of his clients are in the technology, media and telecommunications sectors. Tim’s special interest is intellectual property, in both contentious and non-contentious matters. He is a Fellow of the Chartered Institute of Arbitrators, a member of the Law Society of NSW Litigation Law & Practice Committee, and a member of the International Trademark Association’s Enforcement Committee. Chris Chow specialises in advising clients on contractual, commercial, intellectual property and immigration (entertainment visas) matters in the entertainment & creative industries. Chris has spent his entire career working on: chain of title matters; the protection & commercialisation of intellectual property; and contractual negotiations & enforcement on behalf of talent, labels & publishing companies, production companies and larger creative organisations. 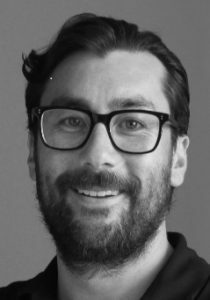 Chris is passionate about the entertainment & creative industries and regularly presents at industry events and also donates his time as a pro-bono lawyer with the Arts Law Centre of Australia. 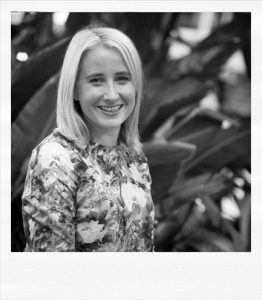 Emma works at Marque Lawyers in its Content & Innovation team, specialising in IP litigation. Her career story is a freakish obsession with the music industry, having worked at Music Rights Australia, EMI Music Publishing and PRS for Music in the UK, followed by Copyright Agency Limited, before settling at Marque and taking over the office music selections. Emma also sits on the Management Committee of the Copyright Society of Australia.